Features: Why to Buy Chicago Pneumatic Reciprocating Air Compressor? Below listed features of Chicago Pneumatic Air Compressor will fulfil all your requirements to select a reciprocating air compressor. When you required compressed air in your engineering plant, you have to take many points into consideration. In compressor industry, you will find many small and big manufacturers as like Chicago Pneumatic, Atlas Copco, Kirloskar, Ingersoll Rand, ELGI etc. The products manufactured by these air compressor manufacturers are world class. So, everyone has highlighted their own strong points in the sales market. 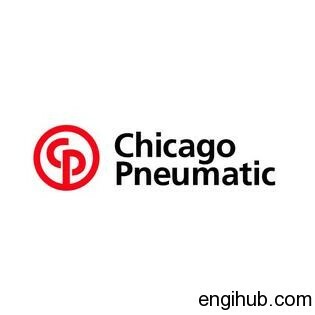 As I spend many more years in Chicago Pneumatic I am familiar with the product and strongly suggest buying the reciprocating air compressor from Chicago Pneumatic. This doesn’t mean that others are manufacturing sub-standard compressor. I will leave the decision of selection of air compressor on you. Still, I highly recommend Chicago Pneumatic for the capacity more than 250 CFM. The symmetrical reciprocating action, balanced commission ratio in each stage and an equal weight of the moving parts keep the inertia force of the reciprocating masses in perfect equilibrium, hence air compressor runs vibration free. The air compressor is smaller in size due to high speed and lesser in weight. The weight of the compressor itself being reduced by 30 to 35% as compared to other models, it offers very easy installation. The arrangement of the Inter-Cooler and After-Cooler effectively reduces the floor space. Besides being the horizontal type with the cylinder at floor level, the height of the Air Compressor ensures accessibility to all the parts and facilitates the supervision and maintenance easy approach of cylinder valves makes it very simple for its maintenance. The air compressor efficiency is enhanced added to the fact of accurately machined parts, symmetrically arranged valves, a water-cooled cylinder with adequate water jackets for optimum heat dissipation and efficient cooler. The power consumption is considerably low. The accurate selection of material, its heat treatment and the accurate machining of the components give reliability to the operation of the air compressor. All essential sections are designed adequately to make the structure rigid and undergo the strict tests of quality acceptance tests. The Installation of a unit can be done in very quick time. Since both the Stages, high pressure and low pressure are mounted on the frame and each section is minimum in size and weight. Along with above points, you have to take some more points into consideration. I will add, easy availability of expert service engineer for commissioning and at the breakdown (Sales after service), availability of spare parts.